We love swimming and we want you to love it too! With 42 Freedom Leisure swimming pools around the UK there are plenty of places to take the plunge – sorry we couldn’t resist. 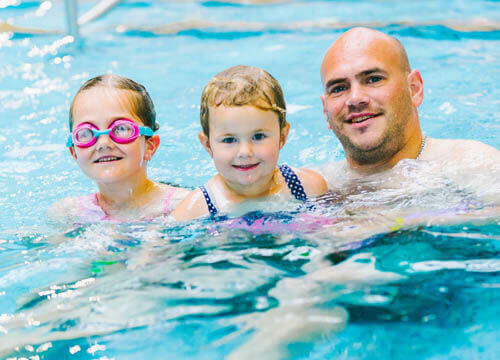 Our pool programmes aim to provide opportunities for everyone to participate, whether you want to swim lengths and get fit, swim with the family, train for an event, swim gently at your own pace or just splash around with the kids and have some fun. Plus, many of our pools have additional attractions such as leisure pools, flumes, wave machines or inflatables to provide fun for children of all ages. So what are you waiting for? Start swimming with Freedom Leisure. We thought we’d start with one that may be obvious but is potentially the best reason of all to go swimming – it’s a lifesaving skill! By swimming regularly, whether for fitness or pleasure, you keep the skill fresh in your mind and without even realising it, every time you swim you strengthen the muscles and therefore become a stronger, slightly more skilled swimmer, ready for when you really need it. So now onto one of the most popular benefits. Swimming is a really great, yet fairly easy way to tone up. Here’s the science bit; water is 784 times denser than air, so swimming is a very effective way of toning your muscles, more than any other form of cardiovascular exercise done on land. Working out in water provides resistance, which has the similar effect as using weights; however, submersion in water creates an even, controlled resistance on the body, perfect for those who are not confident with lifting weights. Aside from toning, swimming also provides a good cardiovascular workout – cardiovascular, or “cardio”, means your heart really gets pumping which is good for heart health, making you fitter and burning calories, thus enabling weight loss. Swimming for just half an hour can burn up to 250 calories and seeing as a standard Cadbury’s Dairy Milk bar has 240 calories in it – do you need any more of a reason to swim? Swimming is a great activity for the whole family, as all ages and abilities can enjoy splashing around and having fun in the pool together. If you need further convincing then check out our hugely popular blog Why swimming is great as a family. Whether you're a gym bunny, recovering from an injury, inactive, older, pregnant, a new mum, or an ironman competitor, swimming gives everyone a great workout and because you control the pace and intensity, you get out what you put in. Low impact means gentle on the joints, so swimming is a great workout for those who may be older or injured – or for anyone who needs to take it easy on their joints really. Low impact can also mean better results because you can swim at higher intensities and on a more regular basis without feeling the wear and tear on your body which you can feel from higher impact activity. Water supports up to 90% of the body’s weight, so it is a great way to exercise and keep moving even with a disability or injury. 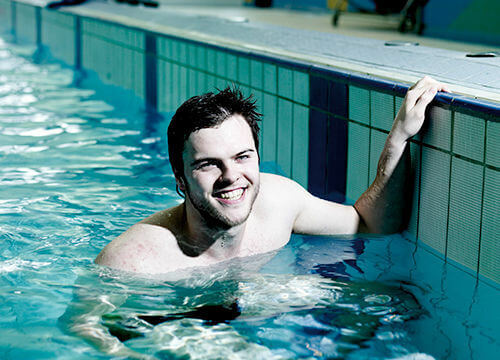 So if you sprained an ankle at football training or have a long-term injury or illness, swimming is a brilliant way to stay active and even recuperate. There is a higher level of moisture present in the air when you’re in a swimming pool hall in comparison to the dryer air in gyms. This additional moisture makes it easier to breathe; perfect for those who suffer with asthma or who find cardio in the gym a bit too hard on their lungs. Studies have shown that swimming can vastly improve asthma symptoms. The body is very clever because when your face is under water, it knows that oxygen is at a premium and in turn adapts to use oxygen more efficiently. Plus, it learns to take in more fresh air with every breath, and expel more carbon dioxide with every exhalation both these adaptions mean that swimmers tend to have a better tidal volume (the amount of air that moves in and out of the lungs during relaxed breathing). A study in the Indian Journal of Physiology and Pharmacology found that swimmers often have better tidal volume compared to runners, resulting in lower resting heart rates and lower blood pressure. Swimming uses a lot of the body’s muscles at the same time, while the water supports you to make larger movements with your arms and legs, resulting in you moving them more than you would on land. As you keep reaching further out with your strokes or kicking wider with your legs, swimming also makes you elongate and stretch out your entire body more, really opening up the joints. Research shows that regular swimmers can be biologically 20 years younger than their actual age! Scientists say that even up until your 70th birthday, swimming positively affects blood pressure, cardiovascular performance, cholesterol levels, central nervous system health, cognitive functioning, and muscle mass. To explain this point it’s worth thinking about the muscles you use at your desk compared to those you use in the pool. When you're in the swimming pool your arms are all over the place, working the often-neglected; lats, deltoids, and traps – not muscles you often target even when you're on a bike or running. In addition, since so much of swimming is about staying balanced, level and afloat in the water, swimming also develops the stabilising muscles deep in your core and lower back, which are only ever targeted with very precise exercises in the gym or Pilates type exercises. It is said that swimming is an all over body workout and this is why – it uses pretty much every muscle in the body. Who knew that swimming improves brain power? Not us, but according to a Journal of Physiology study, blood flow to the brain increased by up to 14% when men submerged themselves in water up to their hearts. Researchers currently believe that the pressure on the chest cavity caused by being in water is the reason why more blood flows to the brain, making your brain more effective. We do certainly know that exercise makes you feel better, happier and sharper, and that a swim in the morning can help your productivity for the day. Well it is isn’t it? Whether you’re swimming with kids, in the sea on holiday or at your leisure centre swimming for fitness – admit it, it’s just good fun! A splash around with the family or a sun-soaked dip need no explaining, the pleasure is obvious but ‘how is doing lengths in a pool fun’, we hear you ask! Well, we think it’s that feeling of freedom, mixed with childhood memories and the sense of achievement afterwards, which all mean that you come out of that pool feeling good and having had fun. Following on from the fun element… want to hop off the back of a boat on holiday? Swim across the Channel? Go scuba diving or sailing? Participate in a charity swim event? Or try a bit of wild swimming? Being able to swim is crucial for all these things. Being a swimmer opens up a whole host of fun things to do. There are many things in life which can stress you out; work, the kids, your relationship, finances? Regular swimming can lower stress levels and reduces blood pressure, anxiety and depression, with even just the lightest of swims helping you to reap the benefits. There are many studies show the benefits of swimming on depression and mental health and even if you don’t necessarily feel you suffer from these conditions, swimming will juts make you feel better. Swimming just 30 minutes a week can help to guard against heart disease, stroke and type-2 diabetes. A well as preventing some diseases, swimming can benefit some existing conditions too, such as dementia, arthritis and cancer to name just a few. 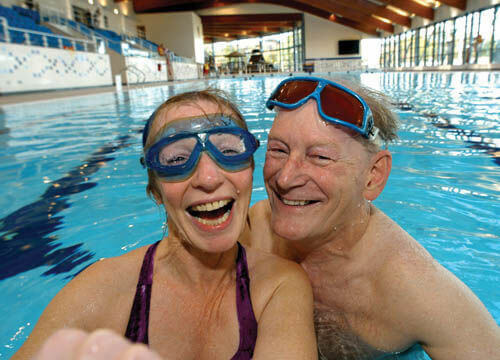 Pilots suggest that swimming brings many physical and social benefits to people living with dementia. Aside from keeping sufferers active, it can help clear the mind and provides a stronger sense of self-worth and a reduction in loneliness. 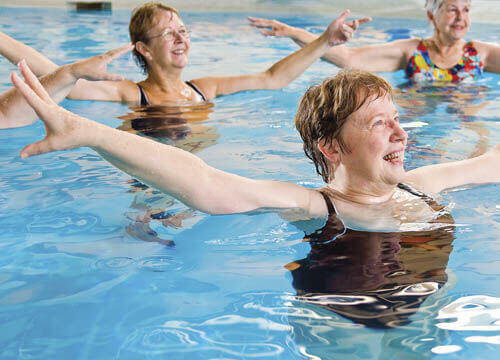 For those suffering with arthritis, the low impact nature of swimming means that they are able to exercise without making their condition worse and in fact the gentle movement helps to free up stiffness and alleviate pain. For those suffering with cancer, the gentle nature of swimming is also a benefit because they may not feel well enough to partake in anything more physically demanding, yet swimming is gentle enough to still do when you feel poorly, while the positive mental benefits also far outweigh the physical helping those undergoing treatment to just feel a bit better. Inactivity can be a main reason for lack of energy, which is a vicious circle as when you feel tired you are less inclined to exercise! But just 30 minutes of swimming three times per week can boost your energy levels through increased metabolic rate and making the effort to go for a quick swim is certainly easier than gearing up for a gym workout or exercise class. Some people are put off doing exercise by the sweating thing but the great thing about swimming is that you never feel too sweaty as the water around you constantly cools you down. Finally, we want to recognise the fact that not everyone knows how to swim – they may not have ever learnt. The good is that it is fairly easy to learn. Unlike lots of sports swimming can be learnt by anyone at any age. With great Freedom Leisure child lessons and adult programmes available it is easy to get started and reap all the above benefits – so what are you waiting for? So there you have it, swimming is really excellent and with 42 swimming pools around the UK, Freedom Leisure can help you to enjoy all the above benefits – find your nearest pool here. Tue 4 December 9 reasons why you should do a first aid course TODAY!